As animators and animation artists we should be drawing ALL THE TIME. It's hard to find the time with a busy schedule, but pushing yourself to do it anyway is also part of this game. 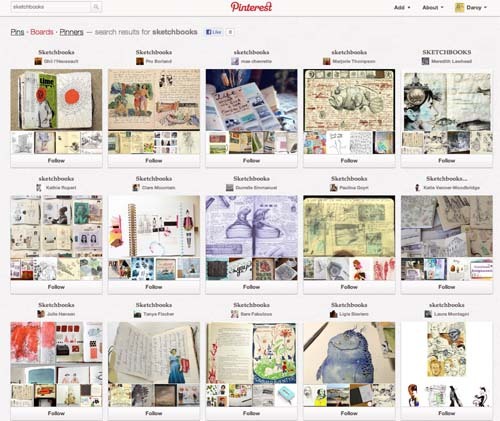 Here is a collection of sketchbooks on pinterest to check out- see what you like, see what inspires you, see what you hate... see how the sketchbook can be barebones notes or a work of art unto itself. If you have any others that you love looking at just post em below and I will include them.